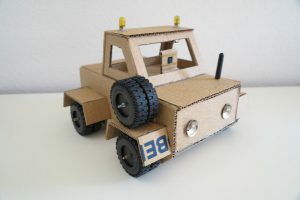 You want to build your own Raspberry Pi robot car? 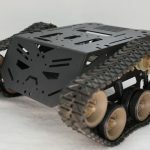 Here you will find a list of all required components to build a remote controlled robot car as well as further components to build a self-driving robot car. 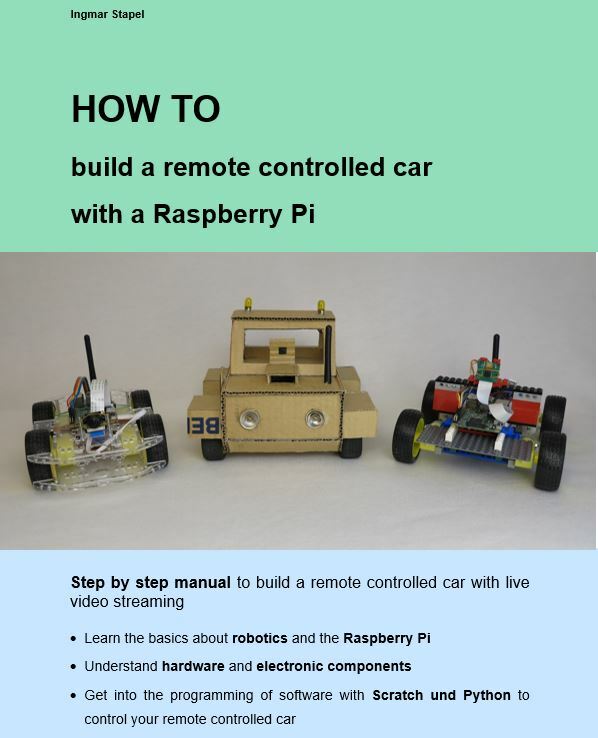 If you also need a manual how to build a remote controlled robot car, you can buy my e-book that is available online here. I will update the component lists from time to time so that you will find the latest components to build your robot car. With this e-book you can create step by step, your unique remote controlled car. The interaction of hardware, electronics and software are explained with the help of concrete examples. This makes it easy to understand the more complex parts of the project. The e-book is available as PDF. The e-book costs 14.90 USD inkl. 19% VAT. (Germany). When ordering from other countries the gross price may vary since then other VAT rates apply. I recommend the Raspberry Pi 3 model B with the integrated wifi module. Therewith there is no need to buy an additional external usb-wifi module and you have full support of the onboard wifi module with Raspbian. 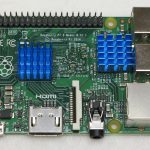 The Raspberry Pi 3 has enough CPU power and enough GPIO pins to interface with sensors and additional components. The latest Raspberry Pi camera module version 2.1 was released in March 2016. This module has a chip from Sony and is able to record very nice colorful pictures. The new module is perfectly supported by Raspbian. I am using the latest camera module in two different versions. One is the standard module and the other one is the NoIR module. The NoIR module is recommended for twilight conditions as it has no infrared filter included. Furthermore I use a wide angle lens module which is perfect for the robot car because the car is near to the ground and with the wide view of the lens you are able to see a lot more then with the standard modules. 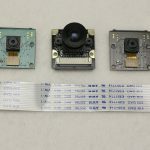 The following list shows the two latest camera modules (version 2.1) as well as the wide angle Raspberry Pi camera module. To power your robot car I recommend to use a h-bridge motor driver. 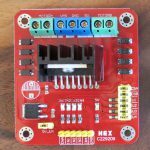 With the following two h-bridge motor drivers it is possible to control the speed and direction of two dc-motors independently. I am using two different variants of the L298N h-bridge motor drivers: One is very small and compact and the other one is equipped with LEDs to show the actual status of the motor-driver. In most cases I am using the module with the LEDs. From a technical perspective both modules are very similar. 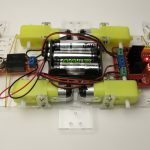 There are different DC motors available to drive your robot car. The yellow dc-motors with the suitable wheels are very popular and I use them in most of my robot cars (especially for indoor usage). I am also using the Tamiya 70168 dc gear motors which are very strong but also very noisy. I recommend to use one power supply source in order to supply all the electronic components of your robot car with power. I use two different solutions and each of them works perfectly for the robot car. One possibility is to use a battery pack with 8 AA-cells (Mignon). 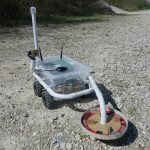 The other solution is a RC accu that supplies the robot car very long with energy and with the specific charger the the RC-accu is charged very fast. I also listed the calbles and plugs you need for both solutions. For beginners I recommend the battery pack with 8 AA-cells as you can use the mignons cells also for other small devices. The solution with the RC accu is for the advanced makers. To power the Raspberry Pi a step-down converter is needed. I am using the following step-down converter in most of my robots. Therewith I ensure a stable power supply for the Raspberry Pi. 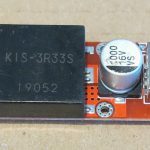 The 5 V and 3 A output is more than enough to power the Raspberry Pi 3 model B. You are robotic enthusiast and want to upgrade your robot car? Make it drive autonomously! All the required components are listed below. With the SRF08 ultrasonic sensors the robot car is able to drive autonomously in your apartment. 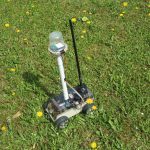 With the GPS receiver on top the robot car is able to find his way outside. 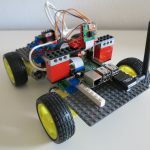 The Raspberry Pi Sense-HAT supports the robot car with its sensors to get the right orientation and to drive from one GPS waypoint to the next one. I intend to extent my e-book with a further part describing how you can build your autonomous driving robot car. As soon as it is finished I will publish it here. 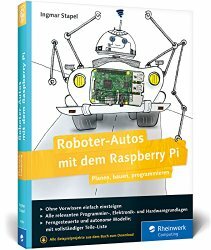 Currently only the German version of the book is available. To enable the robot car to drive autonomously a gyroscope is needed. 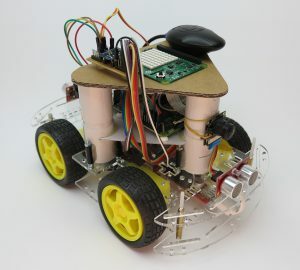 Such a gyroscope is integrated into the Raspberry Pi Sense-HAT and helps the robot car to orientate and to control the movements of the robot car. A magnetometer is also a part of the Sense-HAT and I use it in my robot car for the GPS navigation from one waypoint to the next one. 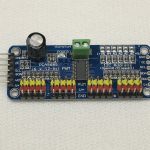 The srf08 ultrasonic sensor is very accurate and offers the possibility to connect the sensor via I2C bus with the Raspberry Pi. 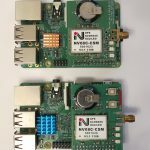 This will save many wires and ensures a reliable connection (less magnetic fields and loose contacts). 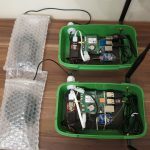 I tested many GPS receivers and the short list below shows the modules which are working perfectly with Linux / Raspbian. I recommend the Navilock GPS-receiver NL-602U USB. This module is very fast and accurate and perfect for the robot car. 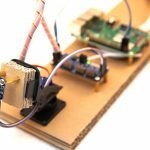 To connect more than one srf08 ultrasonic sensors to your Raspberry Pi I2C bus, you need an I2C level-shifter. 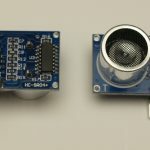 I build a board to connect two srf08 ultrasonic sensors together with the Raspberry Pi Sense-HAT by my own. To build this board I used the following components. Many robot car kits are available. 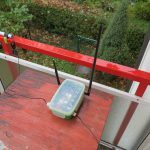 I tested one kit which is made out of acrylic glass. I am very happy with this chassis and used it for different robot cars. I am using the following tools to build my robot cars you see here on my blog. 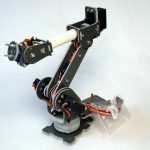 I have no own workshop and with these tools I am able to build the robots at home. If you work on your desk ensure not to scratch it and use a wooden blade to work on.